Nigel has over 35 years’ experience of the building and civil engineering industry including over 20 years’ experience of UK and international dispute avoidance/resolution techniques. 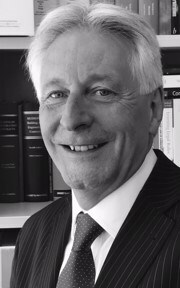 Nigel was a Director in one of the UK’s leading and internationally renowned specialist firms, providing expert forensic quantity surveying, programming and dispute management services, before setting up his own practice in 2004 to focus on private tribunal work and expert opinion evidence on quantity surveying matters. Nigel has represented many clients in an advisory and/or testifying capacity giving opinion evidence to various tribunals including the High Court, QBD, Technology and Construction Court (TCC). He is also an accomplished and well respected arbitrator and adjudicator earned by conducting over 100 references on issues such as contract formation, contract interpretation, repudiation, termination, quality of work, cause and liability for delay, payment notices, valuation of complex work, loss and/or expense, additional cost, interim and final payments and damages. Nigel has worked on many high profile projects including, Beirut International Airport; Bishops Square, Spitalfields, London; Ascot Racecourse Redevelopment; The Arena & Conference Centre, Liverpool; T5 Heathrow; Dubai Festival City, UAE; The Sage Music Centre, Gateshead; Media City, Salford Quays; Crossrail, London and Project Omega, Northern Ireland. Nigel is a highly skilled and experienced arbitrator and adjudicator and is appointed to a number of panels including RICS, CIArb, RIBA, CIC, CPA, CEDR Solve (2008) and named in contracts such as T5 Heathrow. He also passed at the highest grade, the construction industry collaborative training “master class” initiative supported by AICA, CIArb, ICE, RIBA and RICS. Nigel has over 16 years’ experience sitting as an adjudicative tribunal.